Hello friends today we are going to tell you about the Symptoms of Blood Cancer. Therefore, it is important that you are aware of its early symptoms so that you can identify it immediately and get your treatment done in time. Usually, blood cancer is detected only when you do routine blood tests. Therefore, continue to do your medical checkup at regular intervals. In this article we are telling you about some early symptoms of blood cancer. Fever is one of the earliest symptom of blood Cancer. The body's body temperature is a reaction to the body fighting infection. When the body is affected by leukemia, the capacities of cells infections are rapidly decreasing and ups are quickly gripped by this disease. If blood is coming out during your mouth, nose or defecation, do not ignore it as a general problem, but go to the doctor as soon as possible and get your exam done. Lowering the number of platelets in the blood is also one of Leukemia's symptoms. When there are not enough cells of these blood clots in the body, injuries and bleeding become normal. Due to the low number of platelets, small blood vessels break down under the skin, due to which the blue or baggy colour marks on the body. If you suddenly start sweating while sleeping at night, then know that it is also a symptom of blood cancer. However, nobody knows that why this happens to patients with leukemia. When a person is suffering from leukemia, the number of hemoglobin falls in his body rapidly. 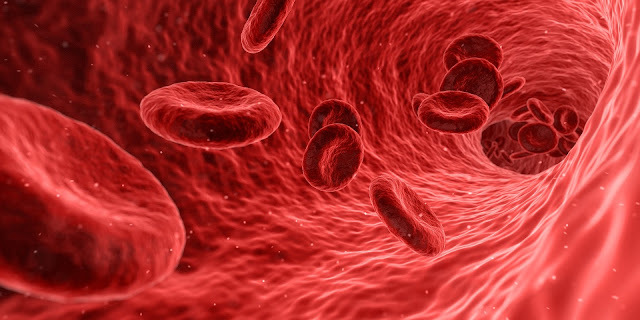 Oxygen of hemoglobin deficiency does not reach all the organs in sufficient quantities, due to which all organs can not work properly and you always feel tired. Chronic pain in Chest and swelling of legs is usually seen in patients with leukemia as well seems to be problems such as bleeding and blood clotting. Due to the low volume of white blood cells, the immunity power of the body weakens. Because of this, the patient repeatedly gets into infection. If you are suffering from cold cold or any type of infection, do your checkup immediately with the doctor. If you see any of these symptoms, it does not mean that you are in the grip of leukemia or blood cancer. But also signs telling means is that anytime you have to avoid do not ignore these symptoms. These are some symptoms of Blood Cancer.